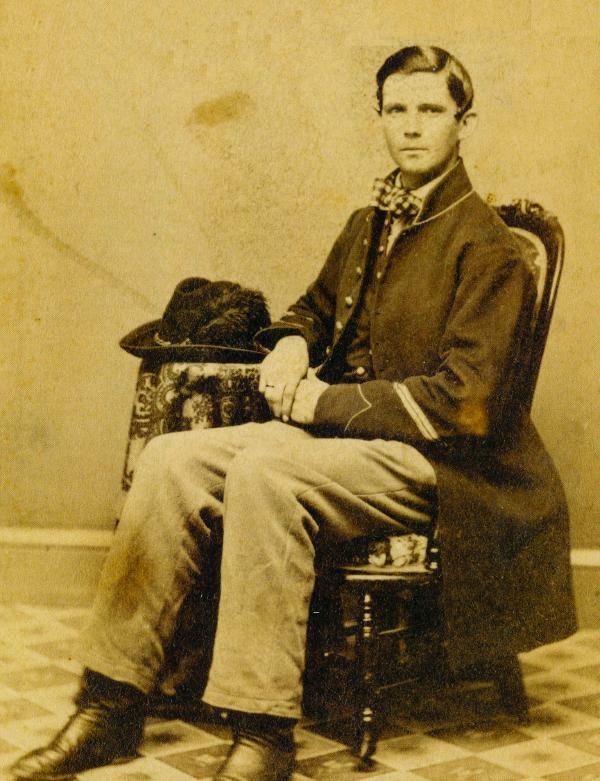 The caption reads "Spencer Bronson, a Fall River soldier who served in Company B, 7th Wisconsin Infantry (Iron Brigade). Bronson was taken prisoner at Gettysburg, and was later wounded in the Wilderness. On April 14, 1865, Bronson was in attendance at Ford's Theatre and witnessed the assassination of President Abraham Lincoln." The first custodian of the GAR museum in the Capitol Building was Hosea Rood, a veteran who enlisted at age sixteen and served throughout the Civil War. He was a Seventh Day Baptist from Milton, Wisconsin. I often shepherd visitors to Madison toward this fine museum.